The Viano String Quartet will perform at 7:30 p.m. Friday, Oct. 12, in Reynolds Recital Hall as part of Northern Michigan University's Siril Concert Series. Admission is free. The ensemble's name was created to describe the four string instruments, each beginning with the letter "v," that play both melody and harmony to create a unified instrument called the "Viano." Formed in 2015 at the Colburn Conservatory of Music in Los Angeles, the quartet has performed in various settings, including the South Bay Chamber Music Society and the Colburn Chamber Music Society. It has also performed with world-class musicians including Emanuel Ax, Paul Coletti and Martin Beaver. As firm believers in community engagement, the quartet participates in the “Play It Forward” Residency, an outreach initiative involving school children in the northern Washington State area. 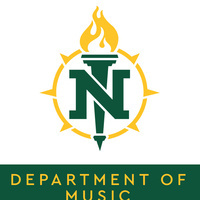 The Siril Endowment for the Music Arts encourages appreciation for classical concert music at NMU through sponsorship of performances, teaching residencies by world-class musicians and more.